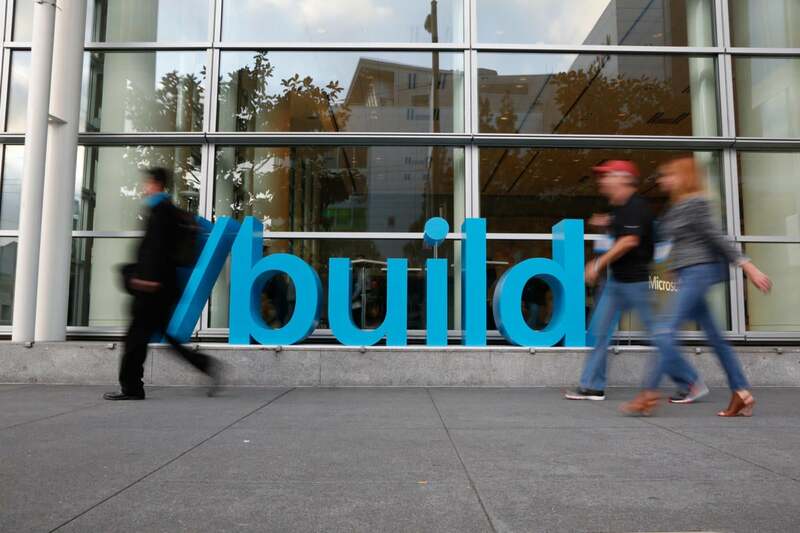 A lot will be happening at Microsoft's developers conference in Seattle this week. Let’s run down the speculative list. Today marks the start of this year’s Microsoft Build developers conference in Seattle, not far from Microsoft HQ. It seems like yesterday that the show was launched at the Anaheim Convention Center, which I attended for a briefing on Windows Server 2012, among other things. The show has grown tremendously and played a part in the launches of Windows 8 and 10, among many other products. So, news will roll out out throughout the day by people there to cover the show, but in advance of that, let’s take a look at what will likely be the big news in different categories, and what we hope to see. The newly announced Windows 10 S will undoubtedly get a deep dive. Microsoft wants to launch in time for back to school and needs people writing apps, since the only apps that run on the S platform come from the Windows Store. Also expect Redstone 3 to be detailed, since it’s on tap for a September release. Redstone 3 will be the third major update to Windows 10, and already new features are appearing in preliminary builds sent to Insider testers, such as a new social and communications experience known as My People and an advanced sandboxing feature for the Edge browser. Another big change coming to Redstone 3 will be Project NEON, a design refresh that will change the look and behavior of the UI. It will also come with a whole new language for coding UX apps, so expect that to get thorough coverage. NEON will change app behavior, offering features like translucency and blur effects and Live tiles on the Start menu. Microsoft has said very little about Windows Server 2016 since its October launch, so this would be a good time for news about a service pack. But I have no hints that they will do anything of the kind, only speculation. There are rumors that Microsoft will separate its Edge Web browser from the Windows 10 operating system in terms of adding new features. This would be the first time since Microsoft shoehorned the browser into the OS in Windows 98 in a rather blatant bid to drive Netscape out of business. This would be a big change for the better because right now Microsoft delivers updates to the browser only with Redstone release, which have come once a year and are now going up to twice a year. Google and Mozilla are updating their browsers up to twice a month, and it shows in much better performance for the two. So, look for Microsoft to make this news official and explain how they will drive faster innovation in the browser. If they don’t, well, expect that market share to hang at around 5 percent like it is now. There also should be talk around PDF support and advanced security via Windows Defender and hopefully more talk about web extensions for Edge. Extensions have been supported on Edge since last year, but only a fraction are available, compared with the thousands of on other browsers. The Universal Windows Platform (UWP) looks good on paper. Write once, run anywhere. That would make a great slogan except Java nabbed it 20 years ago. But the idea is solid. Developers can create one app, and it will run across a wide selection of device types with only minimal changes needed. But the fact is most devices running Windows 10 are Intel powered, so the effort to port apps isn’t that hard. There might be renewed impetus due to Qualcomm Snapdragon 835 processor, an ARM chip that will run the x86 code in emulation. If Microsoft talks up the Snapdragon chip and devices running it, expect UWP to get a lot of talk, as well, because that will be how Snapdragon-powered devices will get their apps. Cortana had been confined to PCs and handsets, but last weekend audio specialists Harman Kardon unveiled the Invoke, a smart speaker powered by Cortana meant to compete with Amazon's Echo and Google Home. So, expect some talk around Cortana as a home device similar to Echo. Also, we may finally see the emergence of the Cortana Skills Kit, which the company announced last year but has not shipped. It’s an SDK designed to convert existing skills and abilities designed for Amazon's Alexa for use with Cortana. If they talk about the client software, I will be shocked. All the emphasis is on Office 365, and why not? It has over a billion users worldwide. Expect talk around Teams, Microsoft’s attempt to take on the popular Slack messaging service. The company has been aggressively updating the software since its November release.